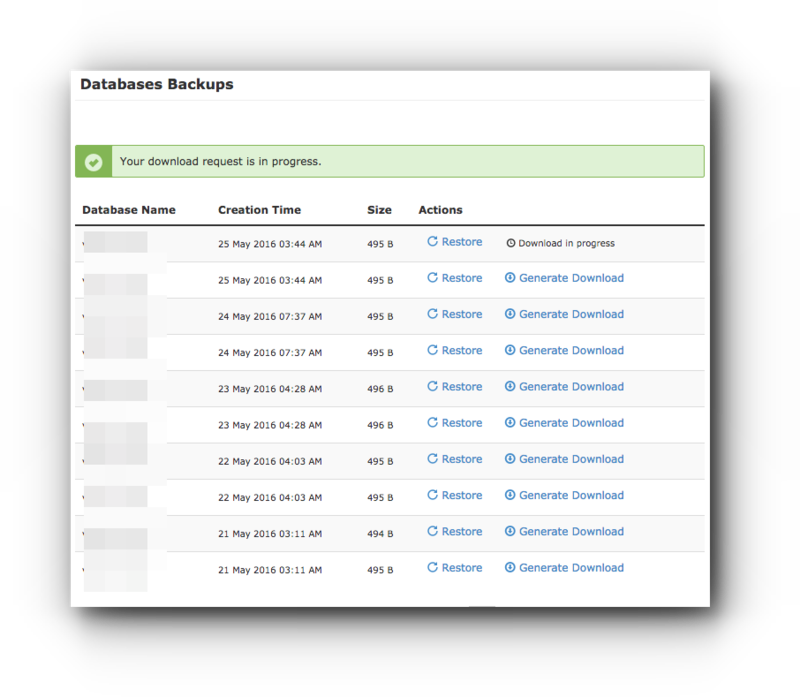 Downloading and restoring Database Backups is available with JetBackup tool. Kindly follow the instructions from this article. Step 2. 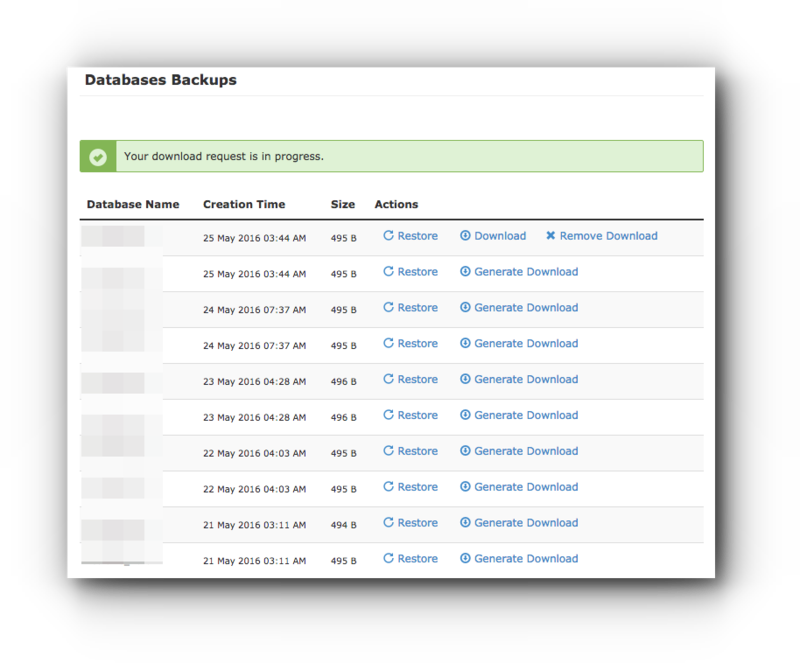 Click on Database Backups under JetBackup panel. Step 3. 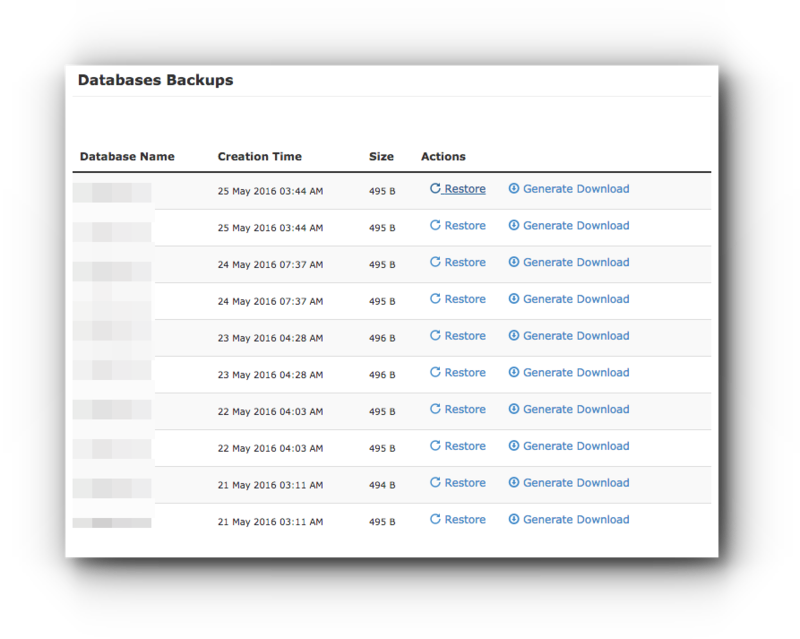 In the Databases Backups page, click on Generate Download link. Step 4. You will have a popup informing you that you are about the download, click on OK button to proceed. Step 5. The download request will be in progress. Step 6. As soon as the Download link is available, click on it. 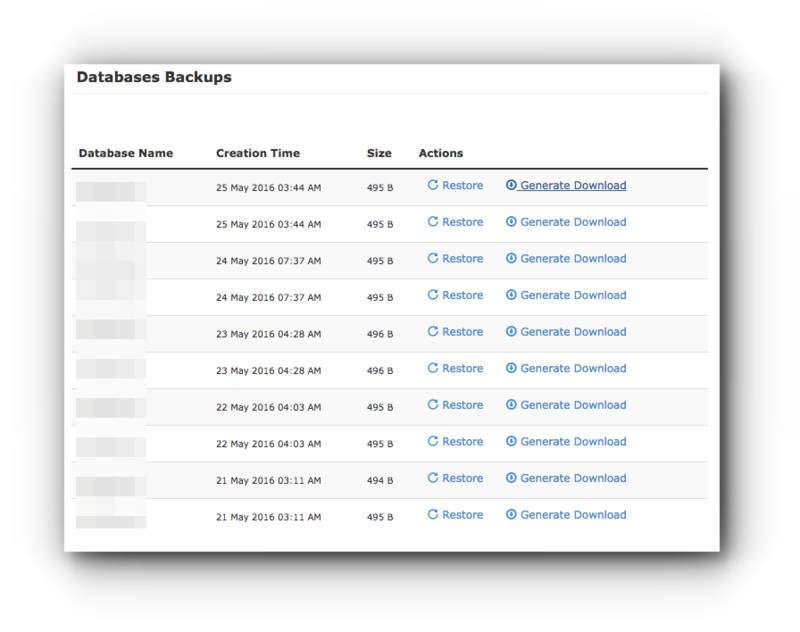 Automatically the backup file is saved in your local computer. Step 1. Click on Restore link. Step 2. 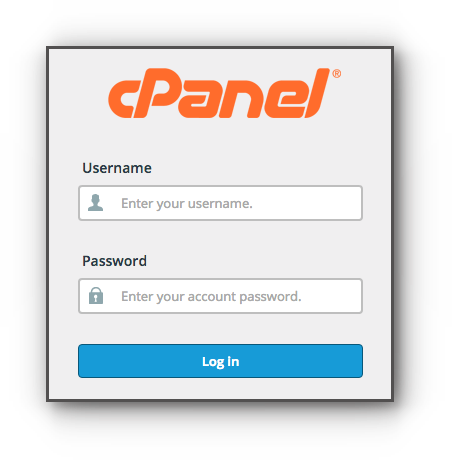 You will have a popup asking you to confirm that you want to perform the restoration. Tick the check box for the “i have read…” and enter your email address you want to be notified about the status of the request in the Notification Email field and click on Restore button. If you go to the Queue page, you will see the status of the request. On the other hand, you should receive an email about the restoration.